With the 2018 FIFA World Cup a couple months behind us, it’s time to look towards the future to the most recently awarded World Cup and its stadiums. Thanks to a recent vote by the 68th FIFA Congress in Moscow this past June the 2026 World Cup will be jointly held by Canada, Mexico and the United States. 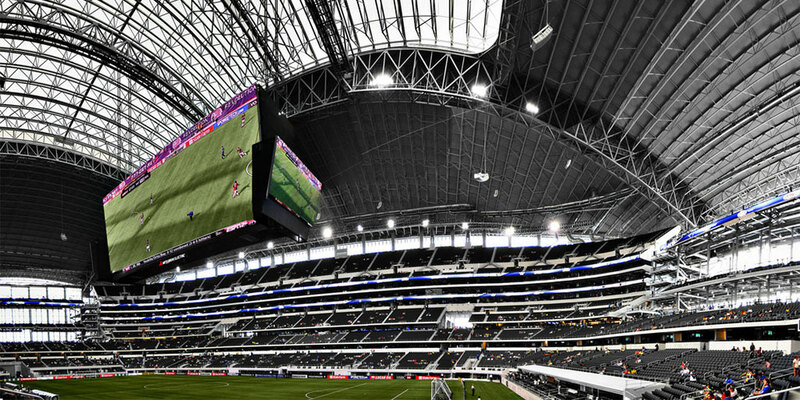 So for all the Americans, Canadians and Mexicans set to attend in their own backyards, as well as people planning to take the trek from across the globe, here are 10 different North American stadiums to look out for when the United 2026 World Cup rolls around. Opened in 2011 to replace the aging Meadowlands, Met Life Stadium is great host venue for the early stages of the tournament. The East-Rutherford Stadium is the joint home of the New York Giants and Jets during the NFL season. 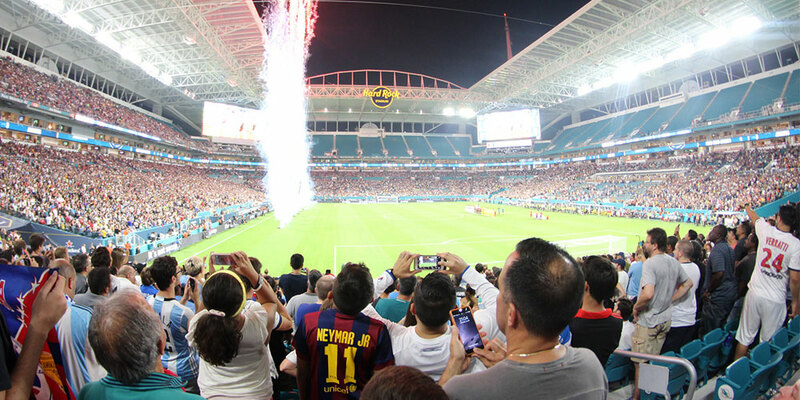 The stadium, which has a capacity of 82,500, is positioned in the midst of the NY/NJ Metropolitan area, which would likely draw in consistent spectators to the knockout and Round of 16 stages of the World Cup. When picking the top cities to feature across North America for sports largest stage, NY surely needs to be included. 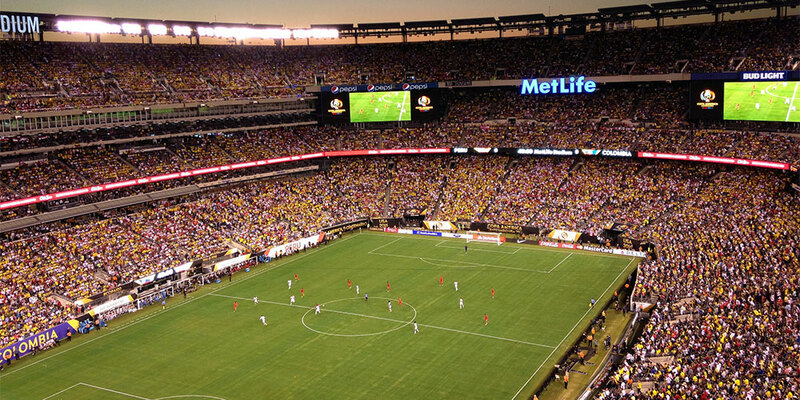 Interestingly enough, the predecessor to MetLife, Giants Stadium, was a featured venue in the 1994 World Cup in the U.S.
Philadelphia’s Lincoln Financial Field would be an interesting venue if chosen for the 2026 World Cup. 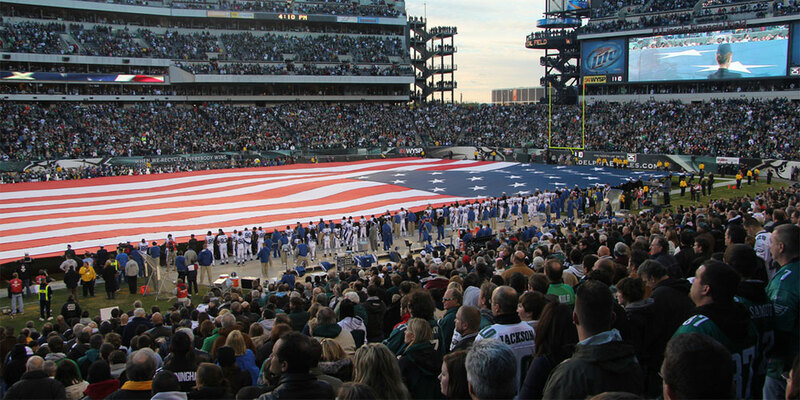 The Stadium is situated just off of I-95 in South Philadelphia and is home to the current NFL Champion Philadelphia Eagles. The “City of Brotherly Love” is known for its passionate and uncontrollable fans, with their recent Super Bowl win and subsequent destruction following acting as evidence of this. Any competitive match in the latter stages of the tournament would be intensified. Should the city be coming off a successful season in any of the five major sports when 2026 rolls around the “Linc’s” atmosphere may be that of a movie for the tournament. College Football’s own Rose Bowl is another stadium up for contention as a venue for the World Cup. Located in Pasadena, California, the wide open stadium offers little in terms of innovative design, but makes up for it in history. Opened in 1922, the Rose Bowl is one of the oldest active US Stadiums. The Rose Bowl is home to the annual College Football New Year’s Game of the same name. 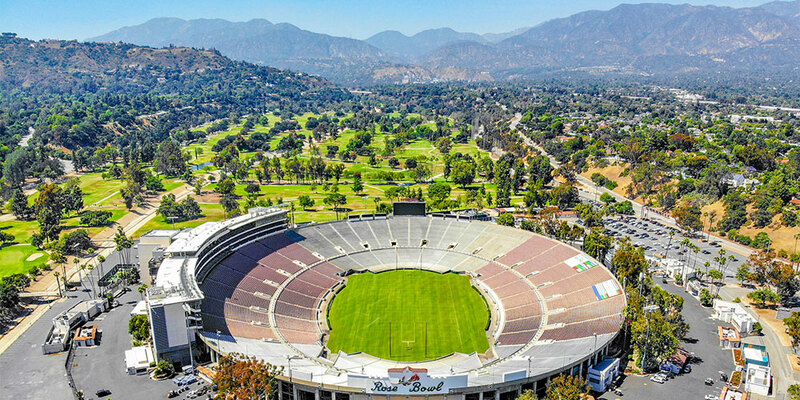 One of the few west coast stadiums in contention and stationed just outside Los Angeles, the Rose Bowl will surely do its due diligence in breaching its 92,000 stadium capacity. Atlanta’s brand-new Mercedes-Benz Stadium will be an exciting venue for the global tournament, as seen by the atmosphere of Atlanta United’s home games. Construction for the newly-fashioned arena completed just under a year ago in August of 2017. The stadium comes complete with a retractable roof, and the world’s largest 360-degree-halo-video board. Fans most certainly won’t miss a second of the action. The Stadium also sits just outside of downtown Atlanta, putting it right in the middle of the action of one of America’s largest cities. 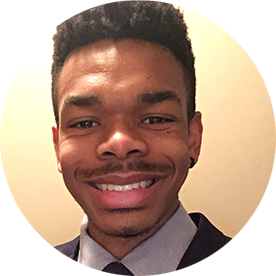 With the introduction of Atlanta United into Major League Soccer in 2017 and the positive reception within the city that followed, the World Cup should be met with similar open arms in 2026. Just off the waters of Seattle’s Puget Sound across from the Mariner’s Safeco Field sits CenturyLink Field, home to the Seattle Seahawks and Sounders. This visually striking stadium has a split design, whilst pitting opposing fanbases directly across from one another, allows the stadium to be one of the noisiest environments to play in. The curved metal roofs on either side of the field allow the sound of the roaring crowd to essentially bounce back down to field level. On two separate occasions it’s held the Guinness World Record for the loudest crowd roar at a sports stadium. 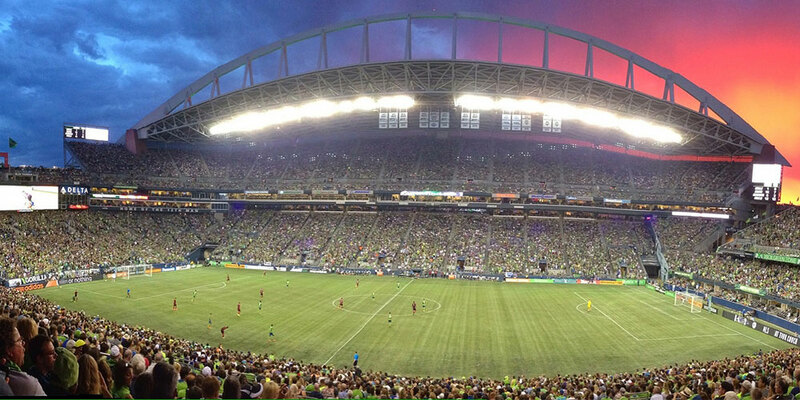 Any opponents of North American teams playing in this arena better be ready to handle the added pressure of Seattle’s thunderous crowd. Outside of the game tourists can also explore the surrounding city of Seattle. Just like Mercedes-Benz Stadium in Atlanta, CenturyLink Field is just outside of downtown Seattle home to tourist attractions like the Space Needle or Pier 57. Freshly built Estacio BBVA Bancomer will surely be on the World Cup 2026 ticket. The Mexican stadium, in Guadalupe, Nuevo Leon, was built to replace 67-year-old Estadio Tecnológico. 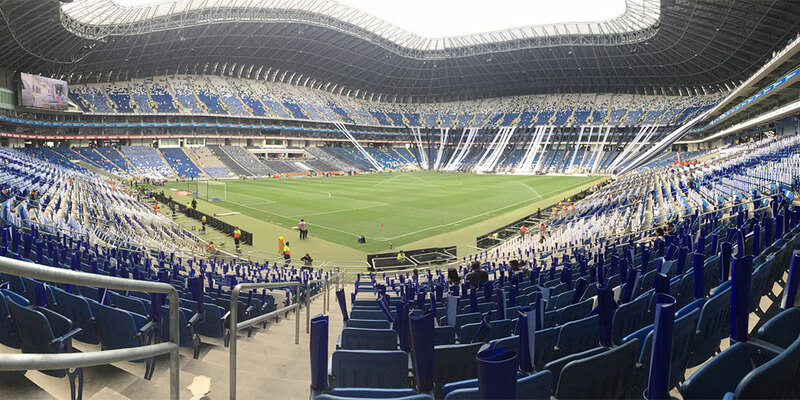 Estadio BBVA Bancomer is now the new home to Liga MX giants Monterrey. One of the top-supported clubs in Mexico, Monterrey’s loyal fans will no doubt be present for any group or knockout stage clashes especially those involving the host nation. Aesthetically, Bancomer stadium has as much to offer inside as it does out. The donut-shaped cantilever roof of the stadium allow spectators to remain shady whilst putting the gameplay on display front and center. The outer makeup of the building has even been compared to that of an armadillo’s exterior. 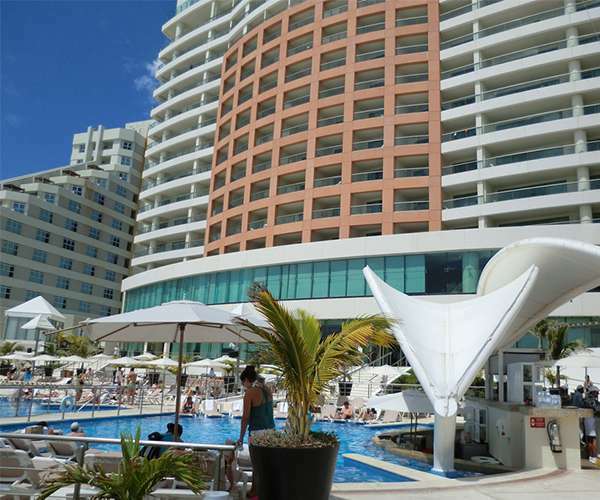 Internally, one of the stadium’s main attractions is it Azul Restaurante. Placed behind the goal of the arena, Restaurante Azul is a small Monterrey FC themed restaurant where spectators can simultaneously enjoy a bite to eat while still having an all-encompassing view of the action. Potentially the most eye catching stadium on this list, Hard Rock Stadium has gone through some major changes since its original construction in 1987. 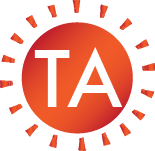 Frequent renovations over the years and changes in ownership have led it to become what it is today. The partnership with Hard Rock Café has led the stadium to its ninth name change since its inception. Renovations undergone in 2016 have in turn given the stadium a modern day look. Added viewing boards around the corners of the arena as well as a top covering canopy ensure that the stadium can be spotted from miles away. The stadium has also cut down on the distance from the stands to the field. The standard NFL game has fans seated 55 feet from the sidelines (previously 80 feet in 2014) World Cup matches would see that distance cut down significantly. The canopy also provides convenient shade for about 92% of fan seating for the hot latter stages of the tournament in July, according to stadium estimates. And, when all is said and done patrons will have the rest of the day to explore the Magic City. One of the few Canadian Stadiums listed for contention as a World Cup venues, Olympic Stadium in Montreal will give a glimpse into the world of Canadian Soccer, a closed one that is. Canada’s second-largest city is not short on attractions to draw people in, including Mont-Royal, the Botanical Gardens or even climbing to the top of the Montreal Tower. And, while at the top of the tower, why not take a look down below and catch a World Cup match? 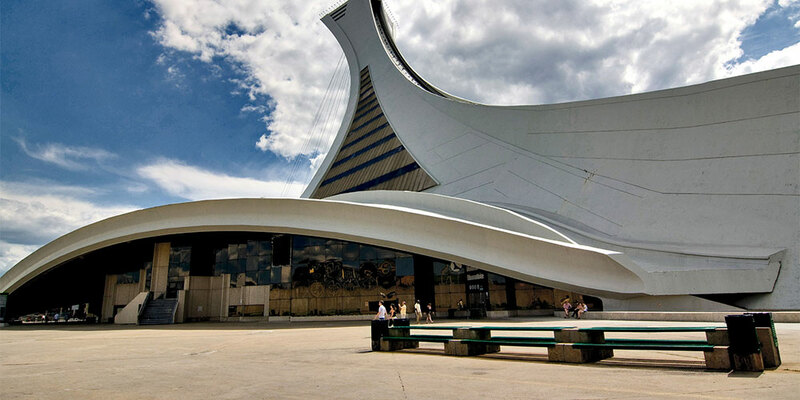 Stationed right below the Tour de Montreal, the world’s tallest inclined tower (at 574 feet tall), is Olympic Stadium. 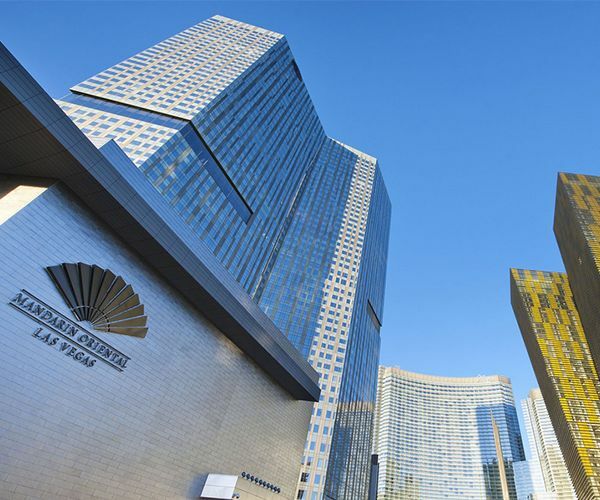 The two buildings are joined together creating great 2-in-1 experience. 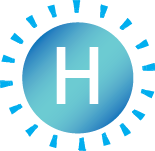 The stadium is completely enclosed which may create a better-controlled atmosphere during the blazing summer days of the tournament. The appropriately named venue was also the location of the 1976 Summer Olympics. 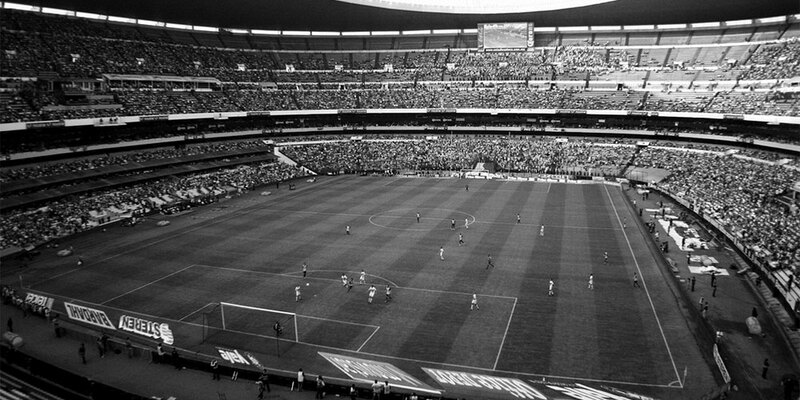 A grand tournament requires a grand stage, and the historic Estadio Azteca is just that. The largest stadium in Mexico, Estadio Azteca comes equipped with 87,000 seats for excited patrons to catch the game. A rich-intertwined history with the World Cup Tournament, the Azteca has hosted two finals (1970 and 1986), as well as being the showcase for Maradonna’s infamous “Hand of God” goal. The stadium is also regarded as one of the most troubling atmospheres to play in. According to former US Men’s National Team forward Eric Wynalda, the stadium is, “The worst place to ever play a sporting event.” The stadium sits about 7,280 feet above sea level, rivaling the world’s highest elevation stadium in Bolivia at 11,932 feet. That coupled with the omni-present roaring Mexican fans is disorienting to many. “You can’t breathe. The pollution is so bad that if you don’t have some form of rain that’s brought all that down you are going to be sucking wind,” Wynalda continued. “The combination of being that high up with pollution is just devastating to the body.” Despite the difficulties, the stadium is regarded as one of the most iconic arenas in world football. Should Mexico’s “El Tri” find themselves going deep in the stages of the 2026 tournament, Estadio Azteca will be there to support them. AT&T Stadium in Arlington Texas very well could be the largest stage in North America. While there are other stadiums on this list that have a more pristine location as a dream destination for ambitious travelers, but none of these stadiums include the emblematic atmosphere of Cowboys Stadium. Built recently in 2009, the stadium had a total construction cost of 1.3 billion USD placing it within the top-five-most-expensive stadiums in the world. The stadium has a retractable roof and at the time of its opening, was home to the world’s largest HD video display (11,520 square feet). While primarily functioning as the home for the NFL’s Dallas Cowboys, the stadium has expanded its reach into other avenues for sporting events. It has hosted the 2014 NCAA College Basketball Tournament, it was a host venue in two different CONCACAF Gold Cups in 2011 and 2017, and it was the home of WWE’s WrestleMania 32 in 2016. It’s also an actively booked venue for some of music’s biggest names including Jay-Z, Beyoncé and Ed Sheeran. Simply put, AT&T Stadium was built for the biggest of events and it doesn’t get much bigger than the World Cup. BMO Field is one of the listed stadiums in contention, but it doesn’t quite make this list of the top 10. 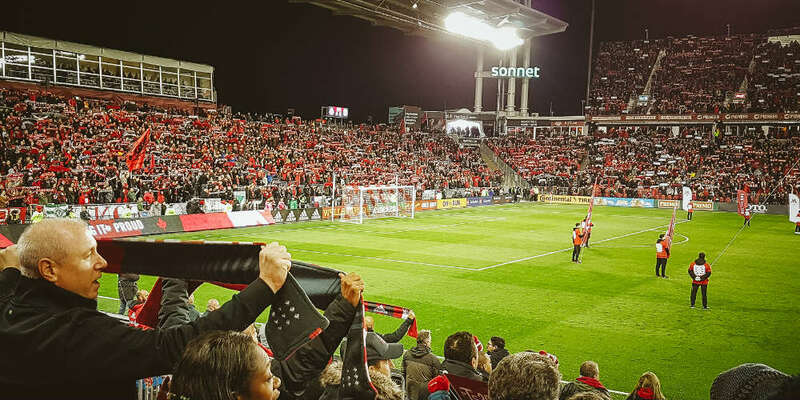 The stadium comes complete with the passionate fans of Toronto FC, but it just doesn’t carry the potency of the rest of the venues on the list. But, at a capacity of 30,000, it may create homely and close knit environment for the cup. 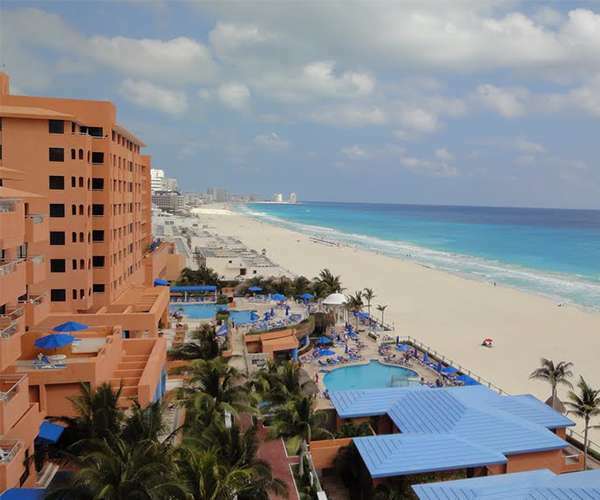 Highlighted by Cancun's crystal-clear waters, this resorts' all-inclusive atmosphere at an affordable price is hard to beat. 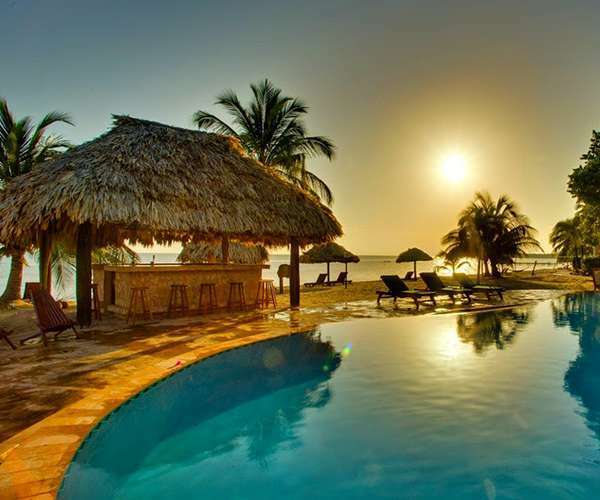 A value property that packs a punch, this oceanfront property on the Caribbean Sea will immerse travelers in the local culture. Luxury all-inclusive in paradise anyone? This extravagent resort will undoubtedly be a hit with activities for the whole family. Boasting a modern design with a posh aura throughout the property, trendy travelers won't be able to get enough. While traveling the world is exciting, the process of getting to your destination is not always as fun.